Born in Oldenzaal. 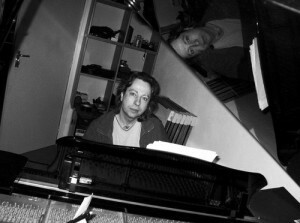 M. Ristenpatt is a musician. Works as a pianist, composer, teacher, producer, arranger. Moved to Rotterdam to attend the Rotterdam Conservatory, piano and keys, jazz and pop music. Obtained Master Degree (U.M) and education degree (D.M) Plays various styles between pop and jazz. Loves his place behind the piano or his keyboards, feels at home in studio situations, behind the piano or at the mixing consule. Works with talented youth, mainly as a piano teacher, but also teaches practical theory. Loves to coach and promote talented bands.